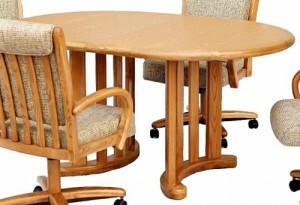 The Chromcraft table is as strong and durable as ever. 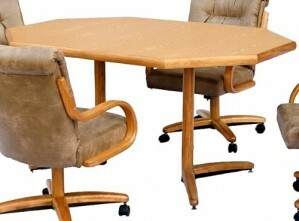 Whether you want a laminate or a solid wood top these tables are made to be used on a day to day basis. 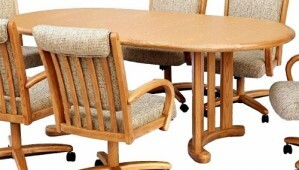 Chromcraft laminate tables are wonderful for people that have families with small children. 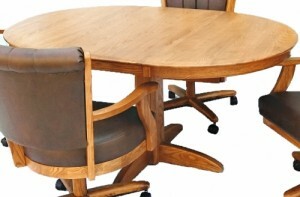 The solid wood tables are great for people that love the uniqueness and character of solid wood. Chromcraft tables are available with either a sturdy single pedestal base or a split pedestal base. Most of the tables are made with an 18" extension leaf, which is great for dinner parties. 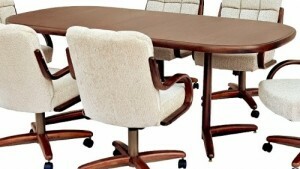 If you're looking for a round, oval, octagon or square round table Chromcraft a fantastic source for you.